Love blogging about food and restaurants? Then FoodHunt is a theme that is a perfect match for you. 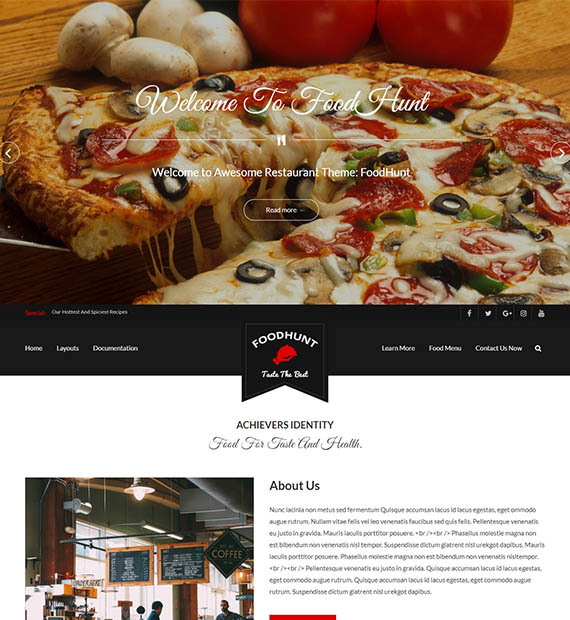 This responsive and free theme by ThemeGrill is a modern and professional looking theme best suited for restaurant websites and food-related blogs of any kind. The flexibility of the theme makes sure that this theme can be used to create that awesome website! Adding to it, the simple and elegant design adds to the appeal of the site to your users leaving a lasting impression on them.